At a loss over Christmas gifts for the lawyer in your life? Seeking to engender some judicial joie de vivre? 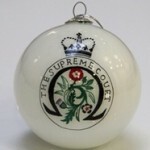 Then look no further, Supreme Court stocking fillers could be the solution to your problem. The Supreme Court has been selling souvenirs and gifts since its opening in 2009, to the derision of some commentators, who felt that the presence of a Supreme Court teddy bear called Toffee detracted from the serious atmosphere appropriate to legal proceedings. However, given that the Supreme Court offers tours to members of the public and schools, selling an array of Supreme Court souvenirs in the cafeteria constitutes some savvy commercial thinking on the part of the Court’s communications team (and also provides this particular blogger with an excuse to buy a Supreme Court bookmark in the name of research). So – what can you get with your hard earned pennies this Christmas? 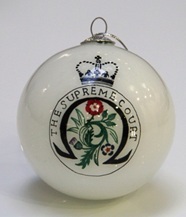 Well, for a legally themed Christmas tree, why not decorate your pine with pink tape and Supreme Court baubles? You can also send season’s greeting with a Supreme Court Christmas card (the photographer deserves special congratulations for getting a picture of the Court from the only angle that does not feature traffic lights). For younger gift recipients Toffee the teddy bear comes highly recommended, while for older members of the legal profession crystal tumblers, mugs or Supreme Court business card holders could be the perfect gift for the lawyer with everything. 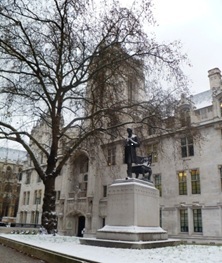 Unfortunately the Supreme Court does not as yet have an online shop (who knows, maybe such an enterprise could fill the whole in the current legal aid budget) but you can buy the gifts at the Court itself. P.S. Any post on legally themed stocking fillers would not be complete without an honourable mention of the two must have items under any legal household’s tree … all I want for Christmas is a Wildy’s Owl and a Hammick’s barrister rubber duck. 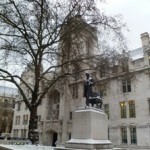 Leave a reply on "Supreme Court Stocking Fillers"